Where else would a car hit a cheese bacon mushroom face? 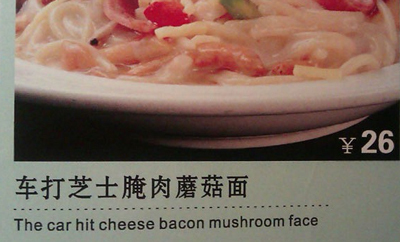 Is there anywhere else in the world where a car would hit a cheese bacon mushroom face? Of course not, this could only happen in China!